Not long ago Google and Asus smack it out of the park with the Nexus 7, a terrific small-screen tablet that's an incredible value at $200. Google's Nexus 7 is a game-changer. The first tablet with Android 4.1 "Jelly Bean," it's the most bang for the buck you can get in the market right now. It's versatile, well-built, fast, and a lot of fun to use. It basically renders every 7-inch tablet priced at more than $300 pretty much irrelevant. May be you have read the Google Nexus 7 reviews and got this excellent tablet. It’s great for you to watch movies on the nexus 7 tablet. Can I play Blu-ray movies on Google Nexus 7 tablet? The answer is yes. Perhaps you think I’m just kidding, Google Nexus 7 doesn’t have any disc drive. And it can’t be connected to an external disc drive, for this reason, how to watch Blu-ray on Google Nexus 7? Don’t worry. This article will give you the easiest solution. Actually, what you should do is ripping and converting Blu-ray disc/ISO movies to Google Nexus 7. A third party tool is necessary. Here, you can try Pavtube Blu-ray Ripper. Which is good at dealing with Blu-ray discs, Blu-ray ISO image files or 3D Blu-ray movies, it also supports DVD conversion. Step 1. Download and install this Blu-ray to Google Nexus 7 converter. 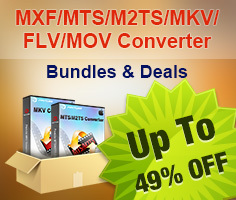 Mac OS X users please select Mac Blu-ray to Google Nexus 7 converter. Step 2. Launch it, and load your Blu-ray movies into it. Step 3. Choose Google Nexus 7 supported video formats. Click on Format -> Android -> Google Nexus 7 H.264 Video (*.mp4). Step 4. You can adjust the output parameters of the video. Then click “Convert” button to start converting Blu-ray to Google Nexus 7. 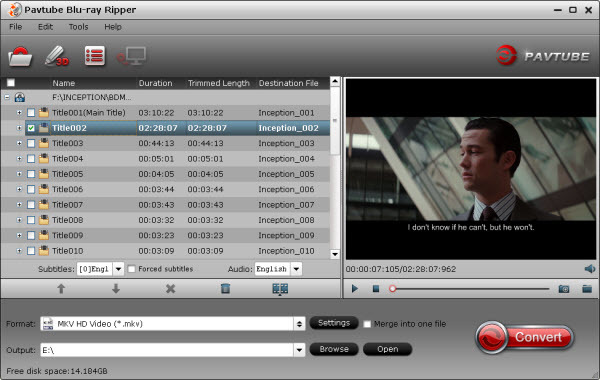 This top Blu-ray to android converter equipped with advanced NVIDIA CUDA and ATI Stream (AMD APP) acceleration technologies. With a PC running on a CUDA-enabled Graphics card, or an AMD graphics card with AMD APP technology, the conversion speed will be about 6X faster than before. Once you got the converted video file, transfer it to Google Nexus 7 via USB cable. Then, you can play Blu-ray movies on Google Nexus 7 at ease. If you need to convert MKV, AVI, TiVo and other common video formats, you can try Video Converter; to play iTunes and Amazon digital copy videos on Google Nexus tablet, please try ChewTune, it will help you convert DRM protected video files, you may try it.